The USGA’s mark that indicates the evaluation of the playing difficulty for a course under normal setup and weather conditions. It is based on effective playing length and other obstacles to the extent that they affect the scoring difficulty of the golfer. The driving force behind the USGA Handicap Index formula is the Course and Slope Rating. If the ratings don’t accurately reflect the playing difficulty of the golf course, Handicap Indexes will not travel well from golf course to golf course. All golf courses must be rated according to USGA Course Rating Procedures and only by amateur golf associations licensed by the USGA. 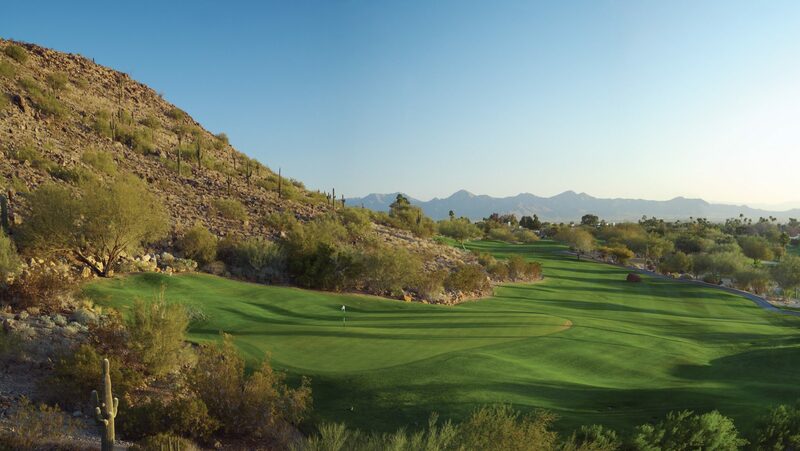 A golf facility is NOT permitted to rate its own golf course The AGA has been authorized and licensed by the USGA to rate golf courses in Arizona. Because the Course and Slope ratings are so important to your Handicap Index, this service is provided as a part of a club’s membership with the AGA. 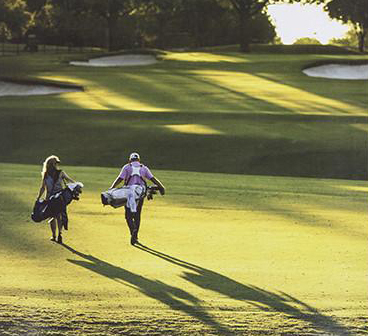 The USGA requires all golf courses to be re-rated at a minimum of once every 10 years. Because new courses changes rapidly in the first few years, they should be rerated every five years for the first ten years of operation. The course rating teams consist of a combination of AGA staff and volunteers. The process has become quite complex and requires individuals with an analytical nature. It generally takes a team of raters 3-4 hours to rate a course. Each hole is evaluated using the USGA Course Rating System guidelines from two different points of view. How does the hole play for a scratch player (a golfer with a Course Handicap of zero) and a bogey player (a golf with a Course Handicap of 20 for men or 24 for women). In essence they are trying to predict scoring for each of these groups of players. Following the analysis and obstacle evaluation, the course rating team will normally play the golf course in order to clarify any doubts or questions that may come up on specific holes or shots. Despite the extensive evaluation of obstacles, golf course length is still has the most impact on a Course and Slope Rating. Having an accurate starting point is critical. The rating system requires that a hole be rated from an average tee location, typically the center of the teeing ground, to the center of the green. This allows for day to day variances of tees placements and hole locations. For this reason, it’s the policy of the AGA to measure a golf course prior to the rating. For the past several years, the AGA has been using a Global Positioning System (GPS) to measure golf courses. The AGA was the first association in the world to utilize this latest technology! It is still one of only a limited number of associations that have adopted this method. The measurement of golf courses is part of the services the Course Rating Department provides to member clubs. This service includes a club’s overall yardage from every set of tees, as well as the driving range. Measurements are available for new courses and changes to existing courses.